Empowering those who are experiencing homelessness by equipping them with opportunities to obtain stable housing. 12 families have been helped through A New Lease on Life so far, and with your help, the number will continue to grow. A New Lease on Life is benefitting from the 5k and 10k registrants of the Cary Unity Walk & Fun Run on September 22! Get more info here! What is A New Lease On Life? A New Lease on Life (NLOL), a 501(c)(3) organization, is designed to help those who are experiencing homelessness get back on their feet through stable housing. We bridge housing opportunities with local non-profit agencies and provide an available apartment home at a reduced rate with gradual quarterly increases over a 12-24 month period. The program offers a hand up to those in need. Our purpose is to provide an essential need through stable housing thereby allowing these families to establish up to 2 years of positive rental history thereby allowing them to remain as market renters or in some instances to purchase a home of their very own. Individuals and families eligible for NLOL are just like us - they are working, have children in our schools, and living within our community. The only difference, something happened that caused them to lose everything. Donate! Monetary donations are used to purchase specific needs for the individuals entering the program. For example, mattresses, kitchen appliances, household goods, furniture, etc. One of our biggest needs is more management companies and owners to partner with us. In order to move the program forward, we need more units. One unit equals one family's home. Contact us for more information! Why New Lease on Life? Why not? 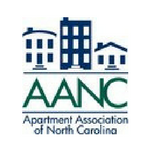 As an owner, you have an apartment home that may otherwise sit vacant. Why not partner with New Lease on Life, take the apartment home off the market, and help a family have a home. It's the right thing to do! In 2015, more than 2,700 school-age children were homeless in Wake County alone. As of January 2016, families make up 30% of the Wake County homeless population; yet families were not even considered to be a part of the homeless equation until 2012, which is why there are very few programs that help families. We can help change the perception of the industry! If you are an apartment owner, you have probably at least once been called "greedy," "money-hungry," with no interest in the community. By partnering with New Lease on Life, you can help squash the negative image and be a part of the answer that helps change the conversation. You can be a part of the solution! Let's put an end to individuals and families living out of their car, children taking baths in school sinks - we can help end homelessness, one unit, one family at a time. The same risks apply to New Lease on Life as they do to any other renter. Not every story will be picture perfect, but when you partner with New Lease on Life, we are with you every step of the way. For all questions regarding A New Lease on Life's program and how to get involved, please email nlol@triangleaptassn.org.